Represents Mohammed Hamza Khan, a defendant charged with material support for terrorism for allegedly attempting to provide personnel to ISIS. 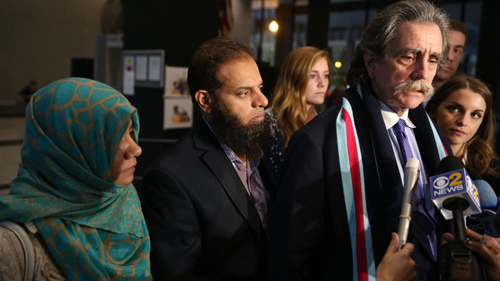 Khan is accused of attempting to fly from O’Hare to Turkey, where he intended to meet up with a man he thought was a member of Islamic State, who planned to train him and lead him into Syria to join ISIS combat forces. “Defense lawyer Thomas Durkin had argued that individuals such as Khan should not be written off without a second chance for succumbing to adept IS propagandists who wooed them over the internet. 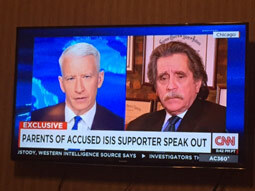 Our son was brainwashed by ISIS.